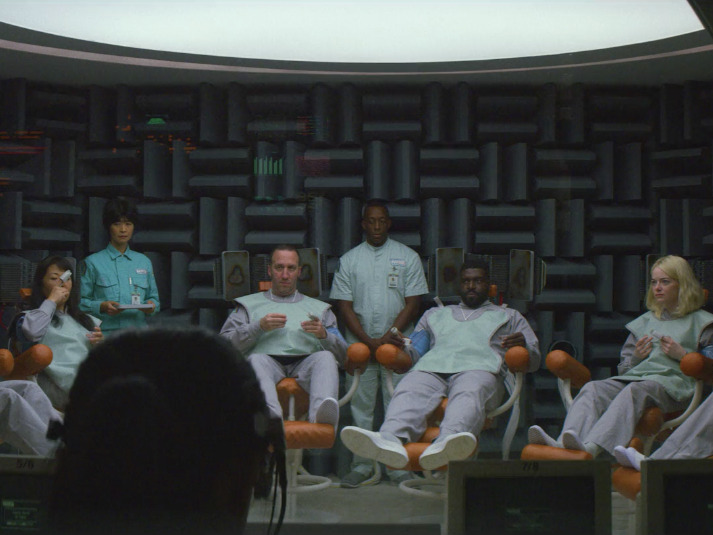 Critics have given mixed reviews of Netflix’s new series, “Maniac,” which is set in a high-tech, futuristic dystopia. But what’s undeniable is the fascinating world that the show presents. The story unfolds over 10 episodes, and the plot revolves around an experimental pharmaceutical trial to test whether a course of three pills can replace cognitive-behavioural therapy for people experiencing psychological trauma. But “Maniac” does actually incorporate many facets of current psychology. A lot of the technology and science used in the show, like ink-blot tests and brain monitors, exist in real life. 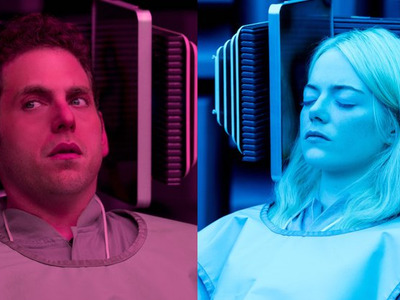 We took a look at seven of the science concepts seen in “Maniac” to see how they stack up to the real research they’re based on. Potential spoilers lie ahead, so tread carefully. In the show, participants in the trial get tested for defence mechanisms. Those tests are actually used to screen for mental illness. A defence mechanism, for example, is a real term in modern psychology. These mechanisms are the ego’s way to protect the mind from feelings of anxiety, depression, guilt, and shame. The major defence mechanisms as defined by Freud are repression, reaction formation, projection, regression, sublimation, denial, and rationalization. Prior to admission to the pharmaceutical trial depicted in the show, the subjects (including the two main characters, Annie and Owen) undergo a pre-screening test for such defence mechanisms. 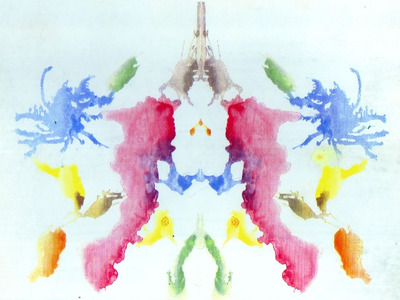 The ink blot test, also known as the Rorschach Test: This test was invented by psychiatrist Hermann Rorschach in 1917 to study the mind’s interpretation of the splattered paint. While there are no wrong answers, highly unusual responses tend to be an indicator of potential psychological issues. For example, Rorschach found that schizophrenic patients displayed more abnormal eye movement and deviation in image perception in this test compared to normal people. Later research showed similar findings. In 2013, the American Psychological Association deemed the test effective at diagnosing mental illness. The test has historically been used to test defence mechanisms as well. Picture-word association: In these free-association tests, subjects are asked to say the first word that comes to mind when they see an ambiguous image. A similar test was used by psychologist Carl Jung to see into the mind of patients. The idea is that patients are likely to project their own ideas, thoughts, and emotions onto the simple images they’re shown. In the show, the three pills are designed to replace cognitive-behavioural therapy. Here’s what that really is. In real life, cognitive-behavioural therapy (CBT) is often used to relieve symptoms of trauma, grief, or PTSD by helping patients understand their experiences and coping mechanisms. CBT can be used on its own or in conjunction with medication, and the aim is to return a sense of control, confidence, and predictability to patients’ lives. 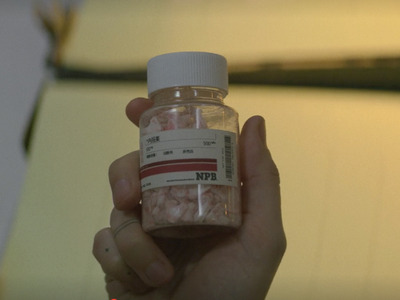 In the show, the characters’ experiences when taking the pills parallels that process. 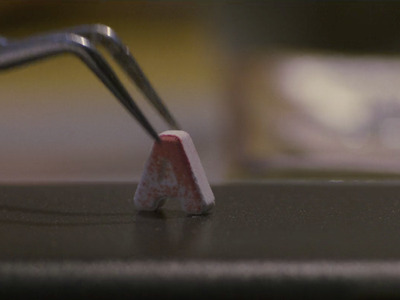 The first pill, A, stands for agonia, which means struggle in Greek. It’s supposed to reveal and uncover a person’s tragic experiences, making the patient relive them. Immersion therapy and gradual exposure to traumatic memory is usually a first step in trauma-focused cognitive-behavioural therapy. The B pill stands for behavioural, and it’s supposed to tear down defence mechanisms and expose lies created by the mind. This mirrors a step in CBT that educates patients about their reaction to trauma exposure. The goal is to get someone to realise their true feelings and shed coping mechanisms . The C pill stands for confrontation, and it’s supposed to get the patient to come to terms with the truth. Here, they must accept their own shortcomings and the consequences of their behaviour. From this point, they can start to change, move on, and connect with others. This mirrors the step in CBT in which caregivers help patients process trauma-related thoughts and beliefs and help patients reassert control over their situation. Many elements of the characters’ diagnoses are consistent with real-life conditions and symptoms. In episode five, Dr. James K. Mantleray, the inventor of the pills, gives each character a personalised assessment and diagnosis. Here are the diagnoses given to Annie and Owen, what they mean, and how well they match up with real-life classifications of these disorders. Annie is told she shows signs of borderline personality (among other things). As defined by the National Institute of Mental Health, patients suffering from borderline personality disorder have a tendency to act impulsively and struggle with personal relationships. They can experience intense episodes of anger, depression, and anxiety that lasts from a few hours to days. Patients also are prone to cut off communication with someone in anticipation of being abandoned, feel chronic emptiness, and have intense but unstable relationship with those close to them. This aligns with Annie’s character and actions in the show. 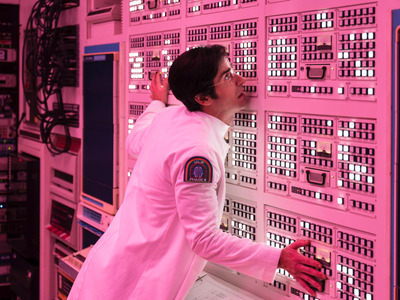 The sequence of drugs being tested in the show’s pharma trial is supposedly the 73rd iteration, following a long string of failures. A real-life drug that failed in 73 rounds of human clinical trials would probably not fly with the FDA, especially if (spoiler alert) the trials caused some patients to become brain-dead. There are, however, 916 real trials going on right now for trauma- and stress-related disorders. That’s according to ClinicalTrials.gov, a database of privately and publicly funded clinical studies going on around the world. These trials are experimenting with a variety of treatment techniques, including drugs, cognitive and behavioural therapy, psychotherapy, motor interference, oxygen exposure, deep brain stimulation, virtual reality simulations, online support, and exercise. Could a drug actually help treat trauma and other psychological disorders by rewiring the mind? Research into psychedelics seeks to answer that question (to some degree). 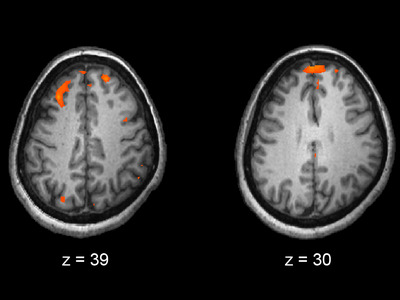 Wikimedia CommonsAn fMRI showing two levels of the brain — areas in orange were more active in healthy people than in people with schizophrenia. “The mind can be solved. Pain can be destroyed,” Dr. James K. Mantleray promises in the show. 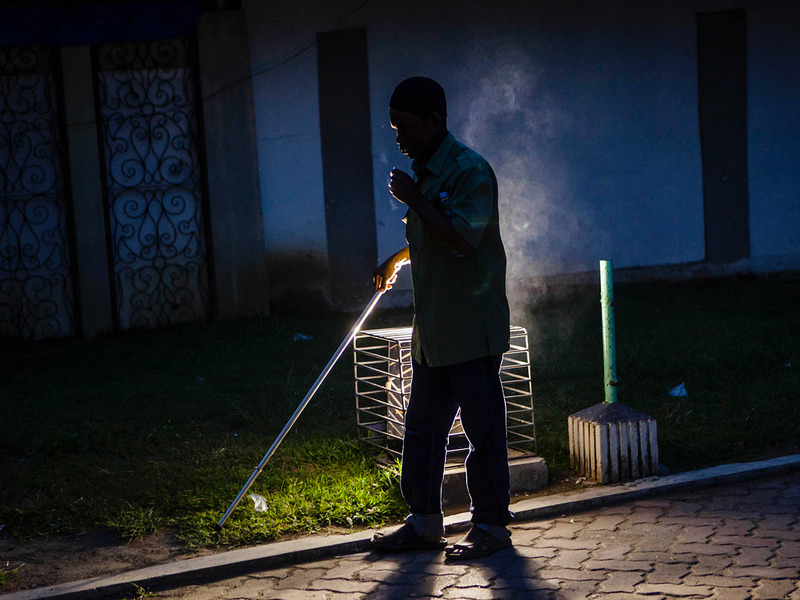 But could a real drug replace therapy and erase trauma by altering patients’ minds? Research has suggested that psilocybin (the hallucinogenic agent in mushrooms), ayahuasca, and LSD may help patients with anxiety and depression rewire connections in the brain. Such drugs have the potential to kill the ego, which is responsible for erecting defence mechanisms. “MDMA can act as a catalyst to make the therapy go faster, be more efficient, be deeper, get to that malignant thing that needs to be taken out and examined in a more sort of peaceful environment with more acceptance,” psychiatrist Julie Holland said at a London conference on the science of psychedelics in 2017. A computer in the show relays patients’ brain activities to doctors. Machines we use today can perform the same functions. During the trial in the show, researchers monitored the subjects’ progress via a futuristic brain scan. Although different than the technology depicted in “Maniac,” functional magnetic resonance imaging (better known as fMRI scans) can be used for a similar purpose. The technology has been able to measure dream activity as well as activity in brain areas associated with emotion, movement, and decision-making. So theoretically, it could be possible to use one of these machines to track a patient’s mental journey. The closest real-life version of that may be AI therapy chatbots. But those algorithms are based on fairly simple computer codes, and they don’t contain an “empathy program” like GRTA, so wouldn’t become sentient or psychotic.